I was able to conduct a comfort food cooking lesson with a client recently that infused Scandinavian and Latin ingredients. That was a first for me! The recipes came from the Our Food Naturally cookbook a product of IKEA. She got the cookbook as a gift and wanted to cook for her book club out of it. 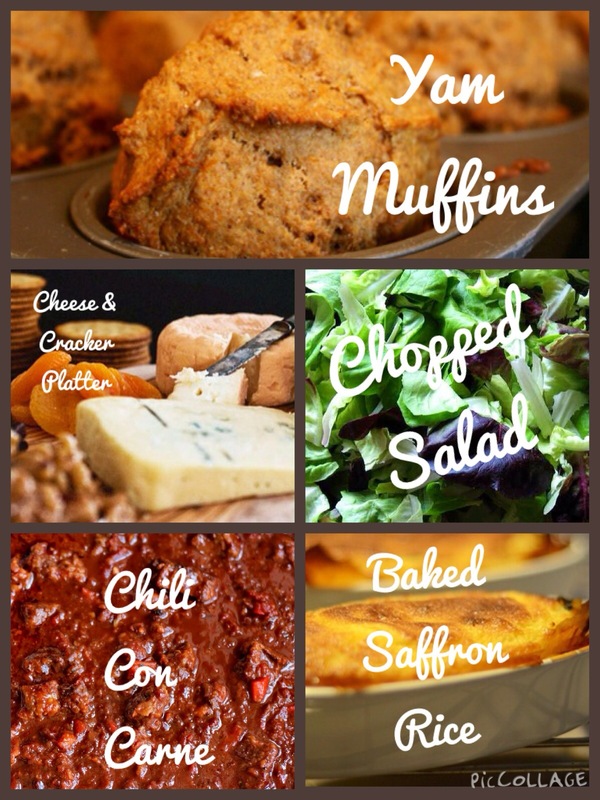 We decided to make a cheese/dried fruit-nut/cracker platter, yam muffins, chopped salad, chili con carne with a creme fraiche, and for dessert saffron baked rice. Today I’m going to share with you all the really yummy recipe for yam muffins. And of course had to turn the recipe into something that can be made ahead of time. Prep Day: Preheat oven 350F. Grease the muffin tins generously with butter. Put yams, butter, yogurt, into a food processor or powerful blender (ninja or vitamix) and blend. Put the mixture in a mixing bowl and sift flour and baking powder into it. Manually stir together the dough. Now mix in the apples, sugar, eggs into the dough. Fill the muffin tins. Bake 25-30 minutes or till they pass firm and golden brown. You can serve warm with butter or cool and freeze in a single layer. Serve Day: Thaw. Reheat in oven or microwave till warm.